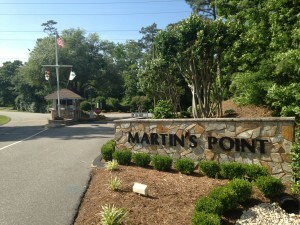 Martins Point Homeowners Association, Inc.
At the base of the Wright Memorial Bridge in Kitty Hawk sits a gated community of single family homes surrounded by water. The community is situated on a 335 acre strip of land, about 2 1/2 miles long and only about 1/2 mile wide, bordering the Currituck Sound and Guingite Creek. Complete with a marina, boat launch area, playgrounds and more, there are activities for all—including optional membership in the Martins Point Yacht Club.